The beauty ritual of Korean women is one of the most sophisticated in the world and based on the principle of layering – a concept that consists of applying "layers" of skincare products in succession, in a specific order, to reveal skin's radiance. This ritual has been passed down from one generation to the next for thousands of years. Erborian has simplified this ritual into three steps. "Double cleansing" is the first DETOX step in the skincare ritual and essential for revealing fresh, purified skin. 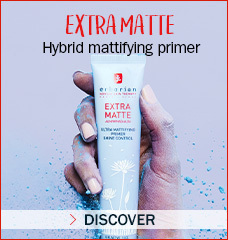 It consists of cleansing and removing make-up with an oil-based cleanser, followed by a water-based cleanser. Once a week, Asian women also include a deep-cleansing scrub in their double-cleansing routine, to reveal skin that appears more radiant and purer. Revitalize your skin with herbal synergies tailored to your needs. Our Bamboo products help moisturize and hydrate. The Ginseng products help nourish skin and minimize the appearance of fine lines and wrinkles. Our precious Ginseng Royal formulas help revitalize the skin and deliver youthful-looking skin. 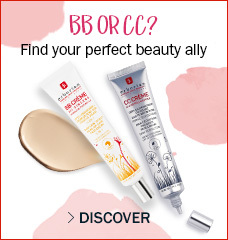 Finally, perfect your complexion with the CC Crèmes or BB Crèmes. 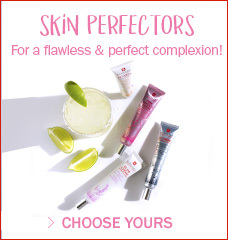 A cross between skincare and make-up, these moisturizing skin perfectors help give your complexion a perfect, baby-soft skin effect with a matte or luminous finish.